Driver Reviver for Windows 10 - application for searching and updating drivers. The utility uses the hardware scan components of the computer, creates a list of devices and versions of executable software with the date of the last installation. The program interacts with the official repositories of manufacturers of components, is able to jump in batch and automatic mode, contains a module for backing up drivers and generating a rollback point. The application has a simple graphical interface, works through a step-by-step wizard, consumes a minimum of system resources and can be launched when the OS boots. 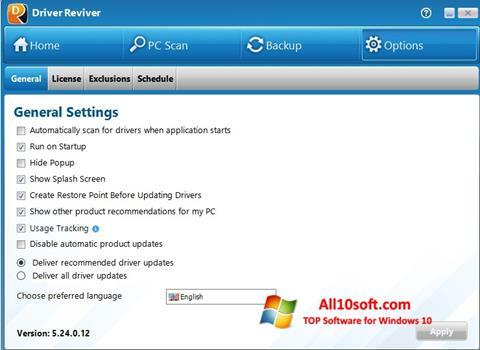 You can free download Driver Reviver official latest version for Windows 10 in English.